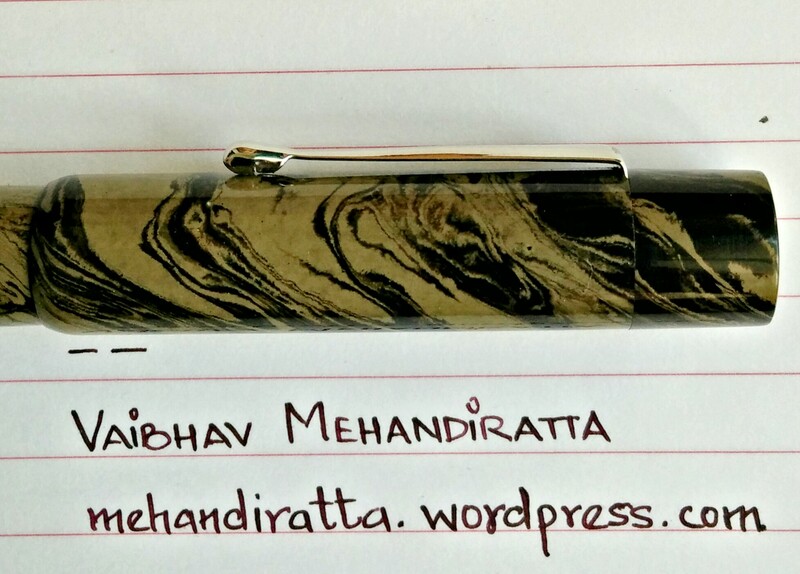 Out of my recent acquisitions of 5 pens, the pen i am reviewing today is one of the new introductions by ASA Pens which adds to the growing list of their lineup. 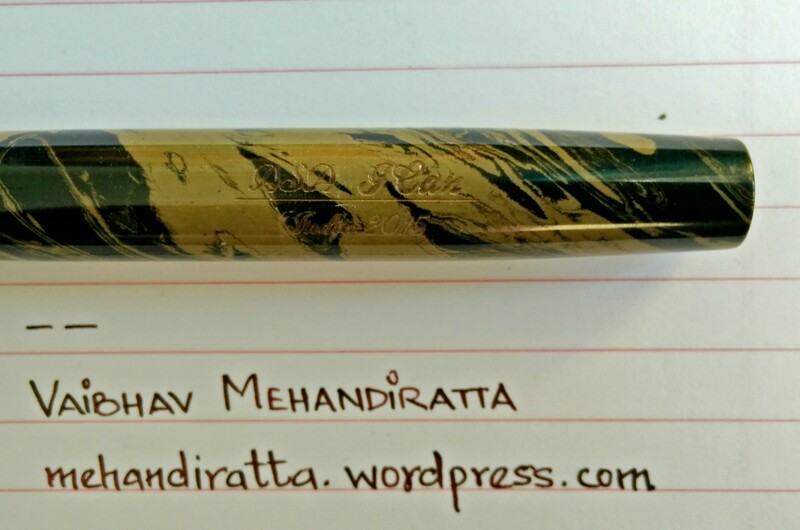 The pen is a quite long comparable to likes of Gama Kuyil and also it seems to be inspired from Gama Kuyil and in many ways it betters the look and feel of Kuyil. The grip section i feel is better than the kuyil. The barrel is just a bit thinner than Kuyil. The top of cap of ASA I.Can is bit longer and it gives the pen a distinct look. It comes in 5 colors matte black, shiny black, green-black mottled, brown-blk mottled, light brown-blk mottled finish. As it is a big pen, it surely won’t fit in a shirt pocket. The cap length is almost as long as cap of Kuyil but the clip is a carry over from ASA Spear and suits the pen very well which i would say is quite decent and subtle. The Nib is silver colored monotone nib. 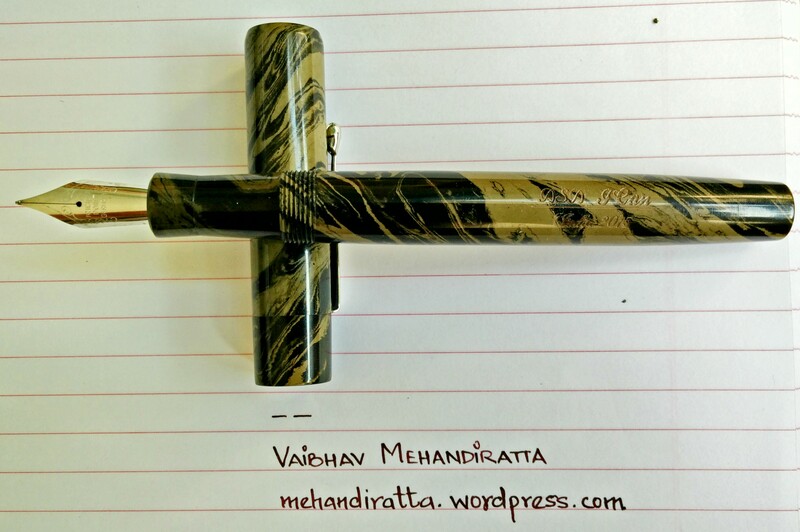 The pen barrel comes with the engraving in cursive “ASA I Can – India 2015” which looks really nice. The bottom of barrel and top of cap are both flat. Below are certain images alongside the Pilot 78G to give an idea about the size of the pen. 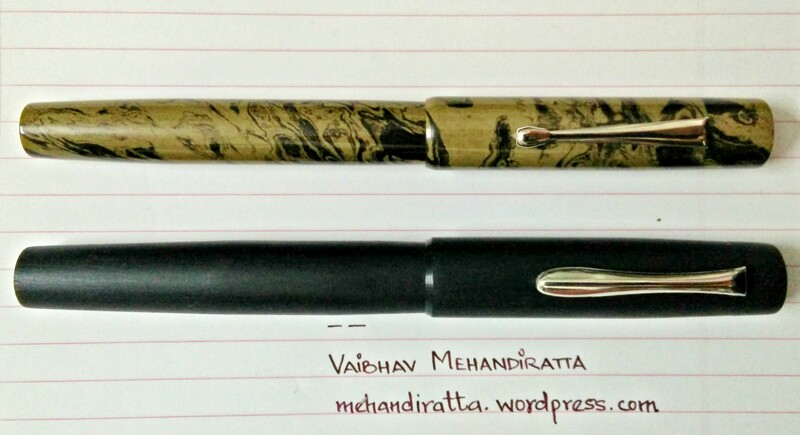 Overall I would say I am quite happy with the decision to buy the pen purely on design basis. This pen is a writers delight. It so light for the size of pen and you can keep writing on and on without even a slight hint of tiredness due to the size and weight and on top of that it hold large amount of ink. I prefer writing with large pens and that too unposted so i was quite happy with the pen. It becomes too long (but not heavy) if the cap is posted. That i would say depends upon preference and i my preference is to write with pen unposted. I would day it has an amazing posture and balance and looks so beautiful in hands just because of the color. 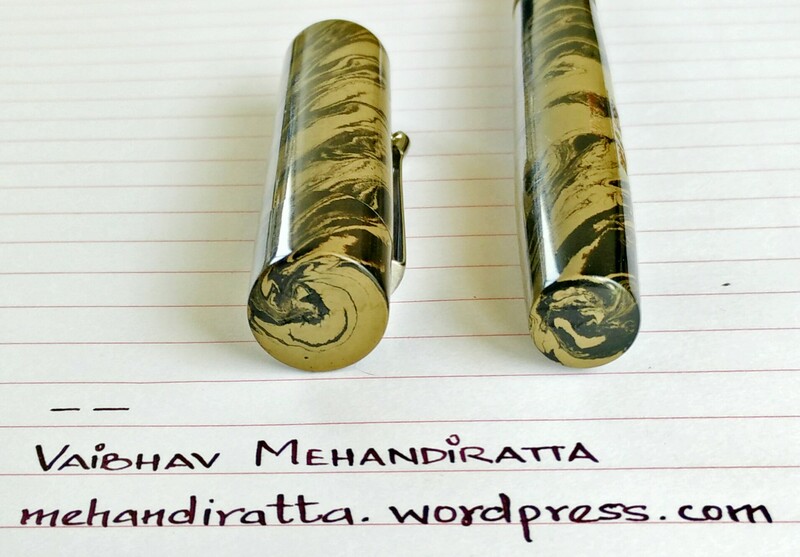 The pen comes with silver monotone stock fine nib as is the case with Galactic. It writes pretty fine and has a regular ink flow. In my run of writing 7 pages on trot it never skipped once. 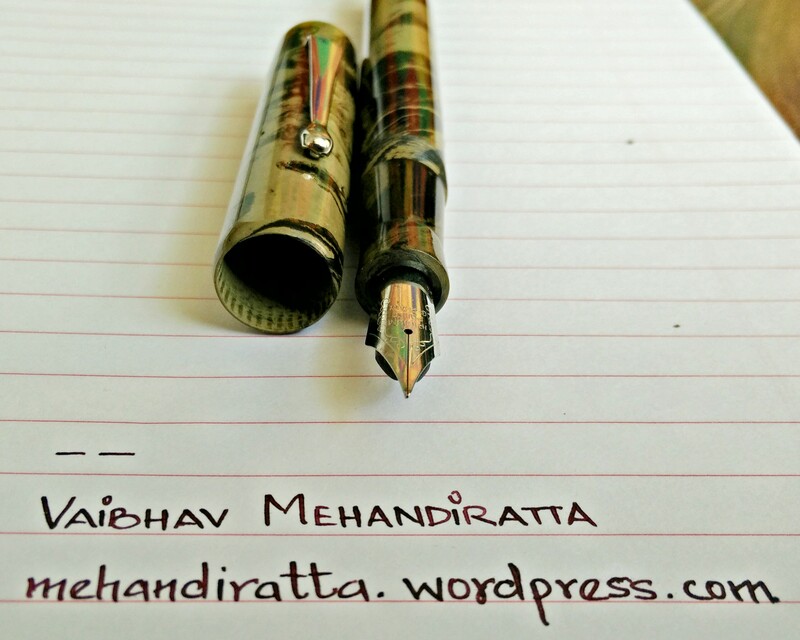 Loved the stock nib. The feed is also made of ebonite and is of regular design. 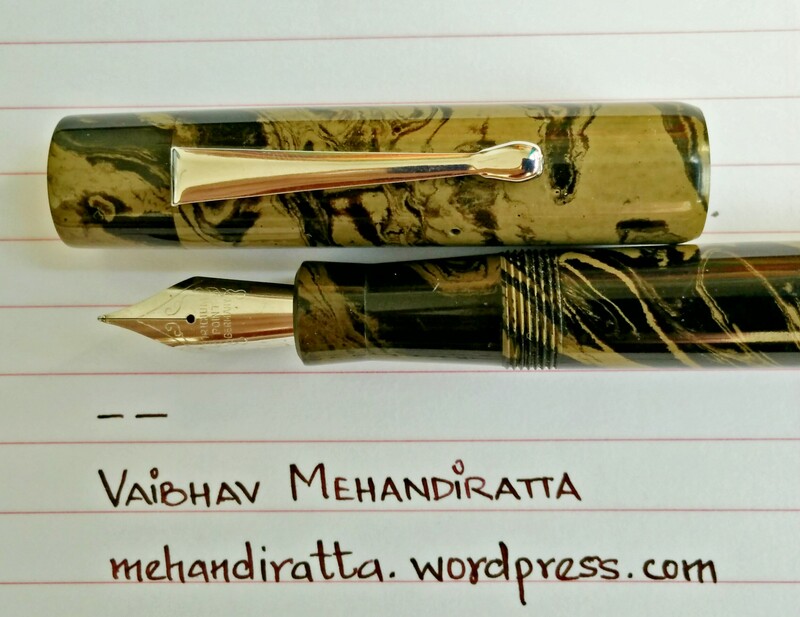 My all pen nibs are checked and smoothed by Mr. Subramaniam before dispatch and thus the quality of products especially the pens are top notch. The ink filling mechanism is an eyedropper (a separate eyedropper came with this pen) and thus pen is able to hold massive amounts of inks and it will not require regular inking up the barrel. Even though stock nib writes superb the pen comes with an option to upgrade the nib to German JoWo M and B Nibs. 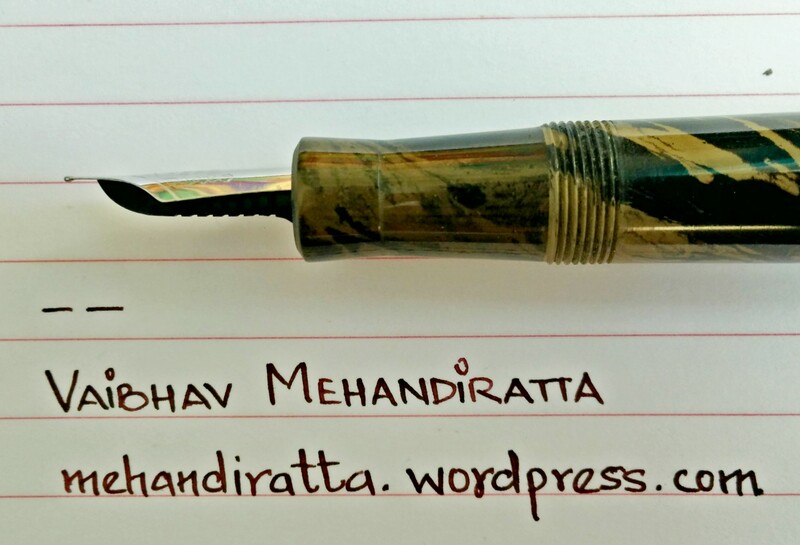 The stock nib writes western fine and it is well behaved wet writer. 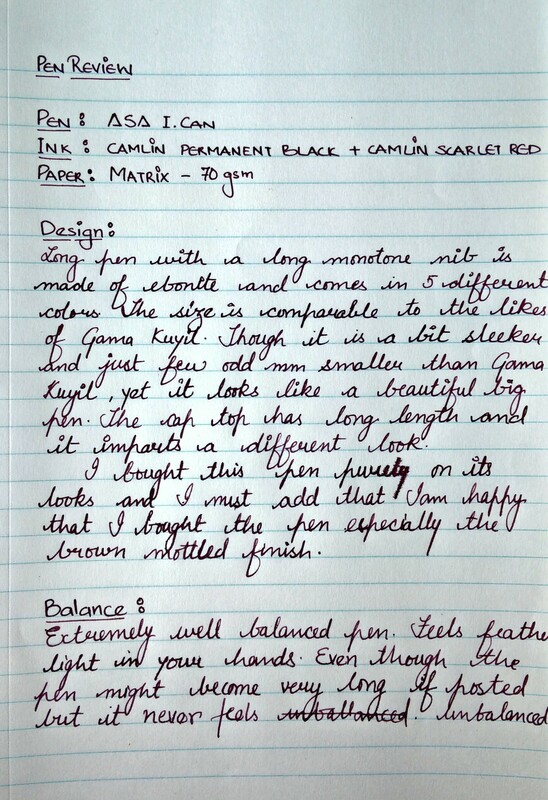 Below is my brief handwritten write up about the pen. 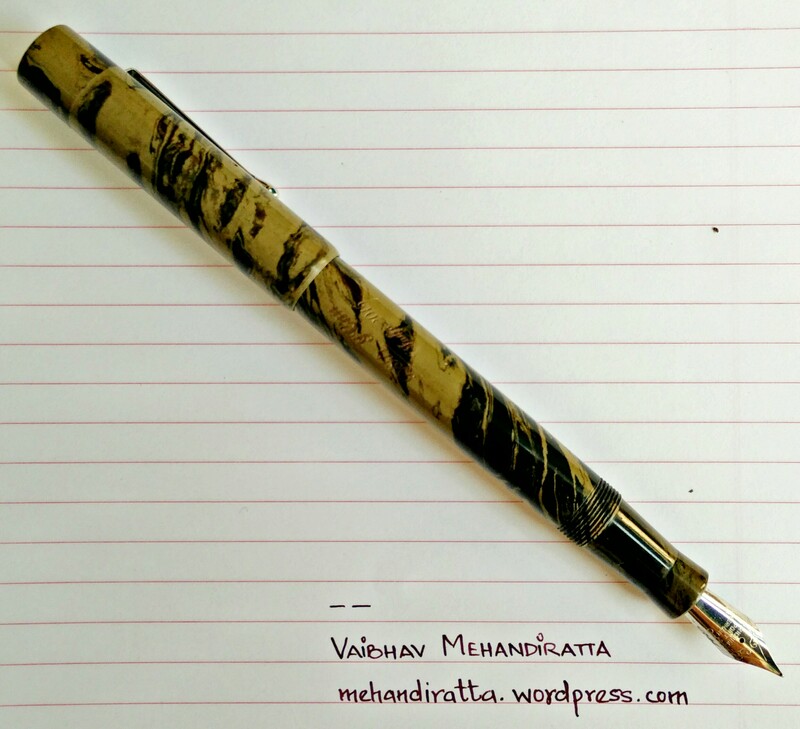 Recommended to people who are looking for long pens and who love to write for longer duration yet not burning a hole in a pocket. 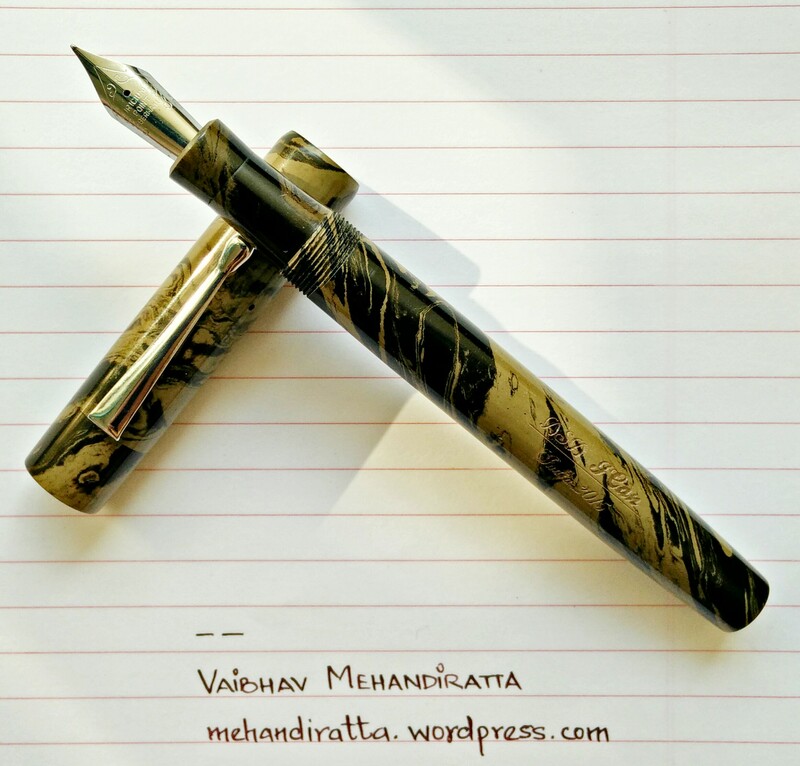 I love it more than my Lamy Safari. Yes it definitely is a bang for buck. (Rs. 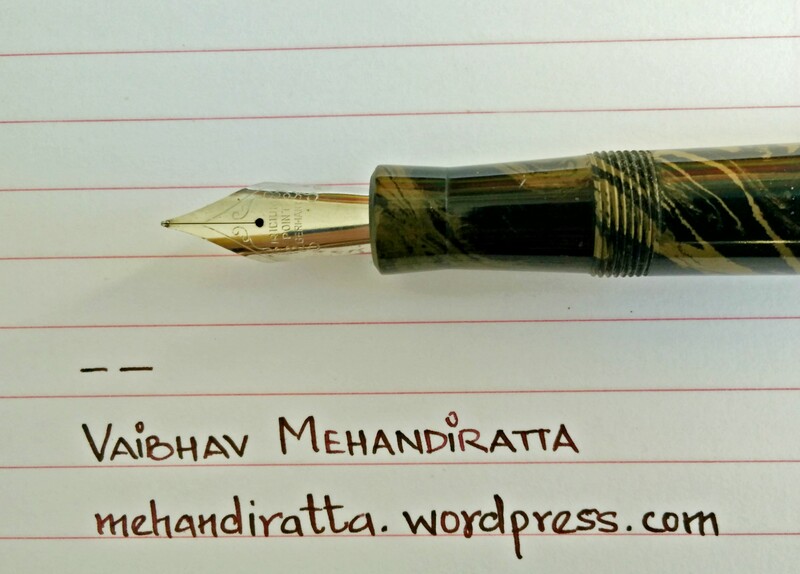 800) and there is always an option of upgrading to JoWo nib with extra 450 bucks still making it cheaper than Lamy ‘Plastic’ Safari which doesn’t even come with converter. Hi where did you buy it for the RS 800 price, curious as on website of ASA its in USD $ and much more. Hello! 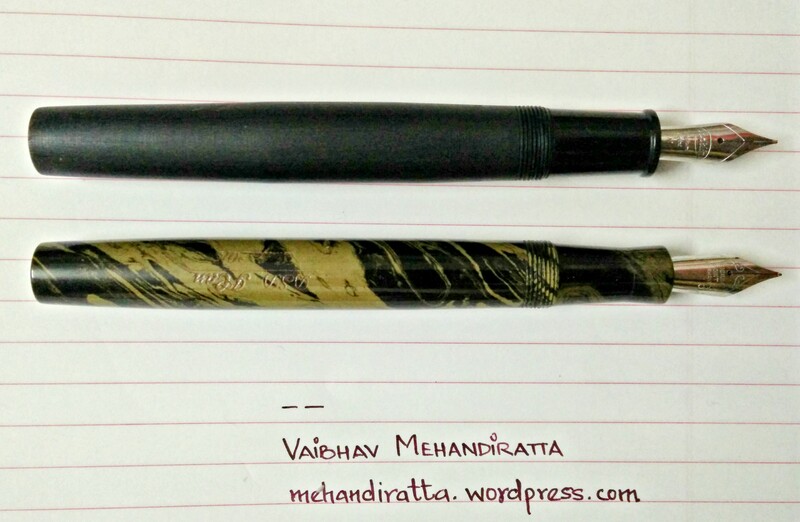 My uncle send me this pen from Chennai with fine nib. Pen is good with comfortable section area. But it writes scratchy n wet and leave marks on the other side of the paper. 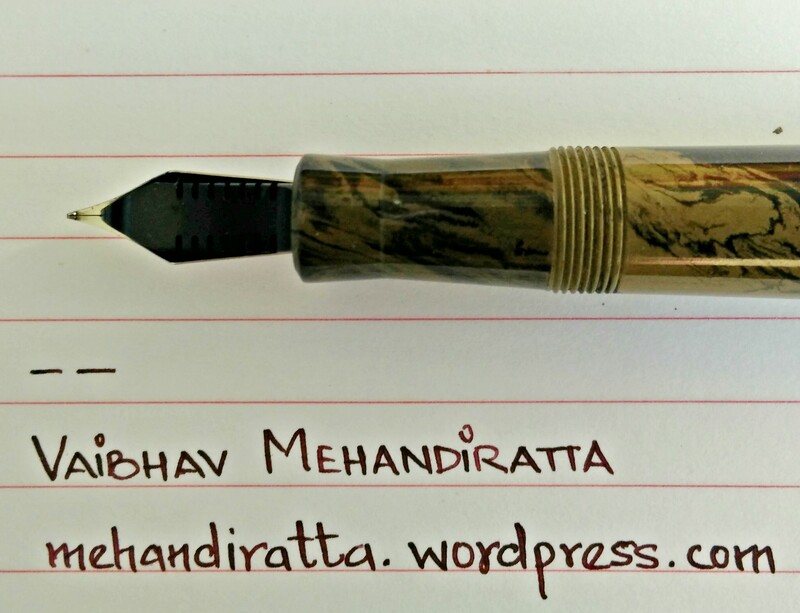 Can you please tell how to smooth and reduced wetness of this nib? Hi, great review! Love the pictures and the finish. I have one in black Ebonite and the threads on the cap are very very sticky. You don’t mention this in the review. 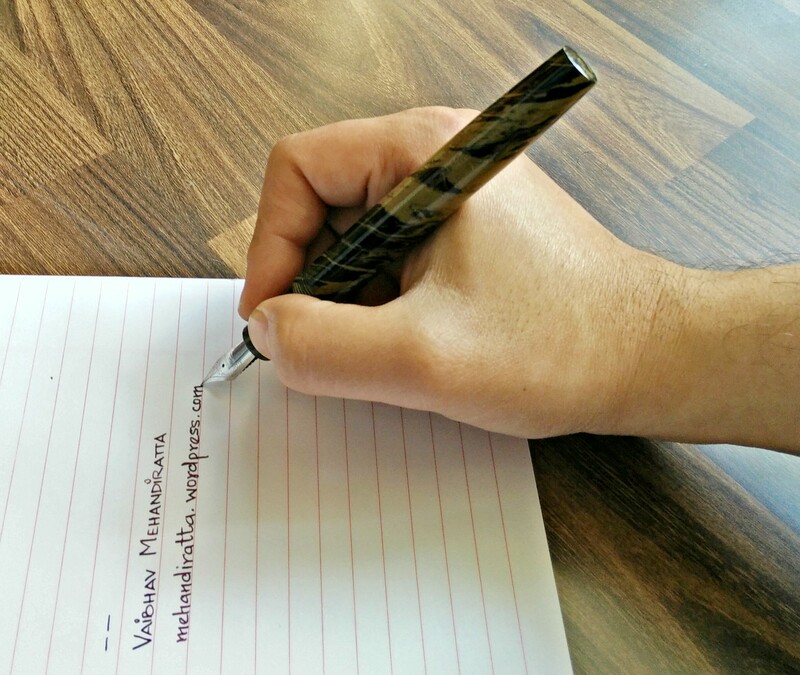 Did you experience this with your pen? I ordered asa pen with stock nib. 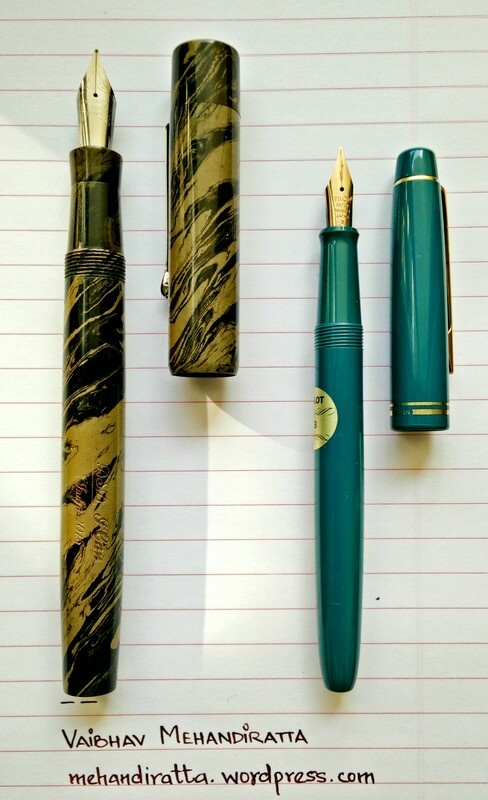 What will you suggest.. Stock nib or german M nib. And can we upgrade later also? Thanks.. My mind was going crazy.. As if i made a blunder by not going with german M nib. 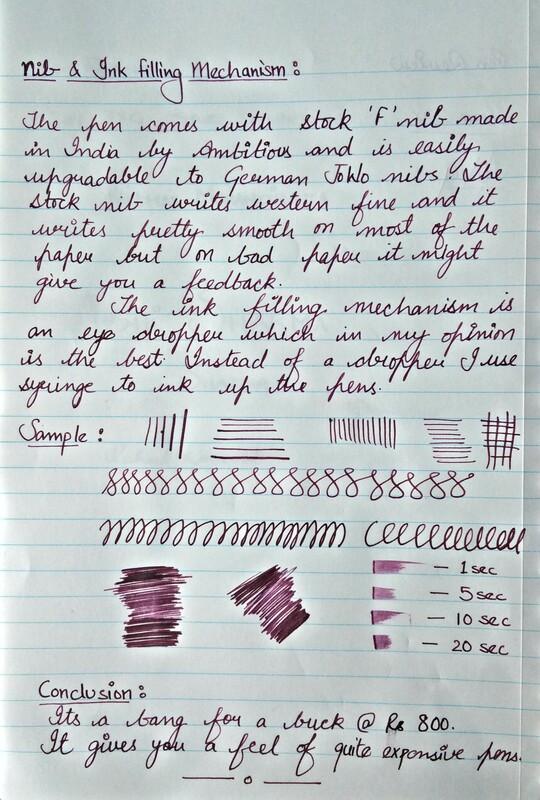 Beautiful pen and a very nice review! I see what you mean, that definitely is worthy of consideration beside the Gama Kyuil. I will be getting a Gama Eyas in about a month, was interested to compare that model’s fit and finish to the Kim & Company regular size I got last year. I’ll definitely keep the ASA pens in mind for a future order.